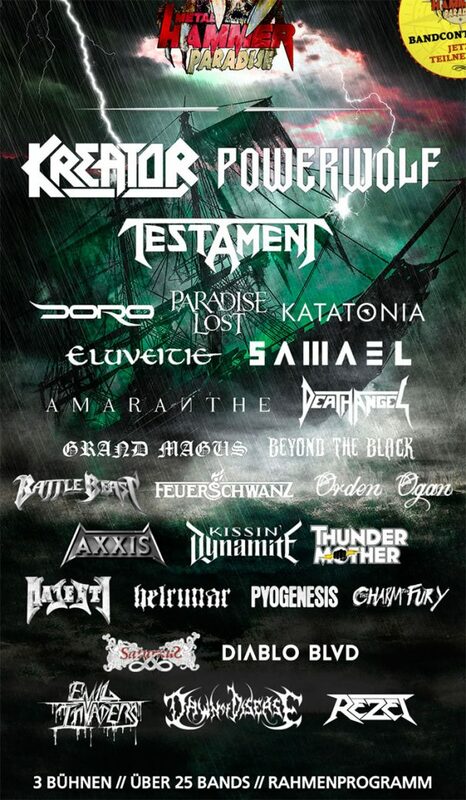 Metal Hammer Paradise 2017 will take place at Ferienpark Weissenhäuser Strand in Oldenburg in Holstein, Germany on November 10-11, 2017. 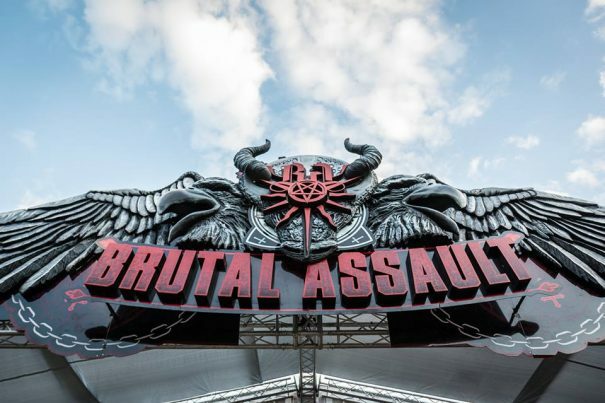 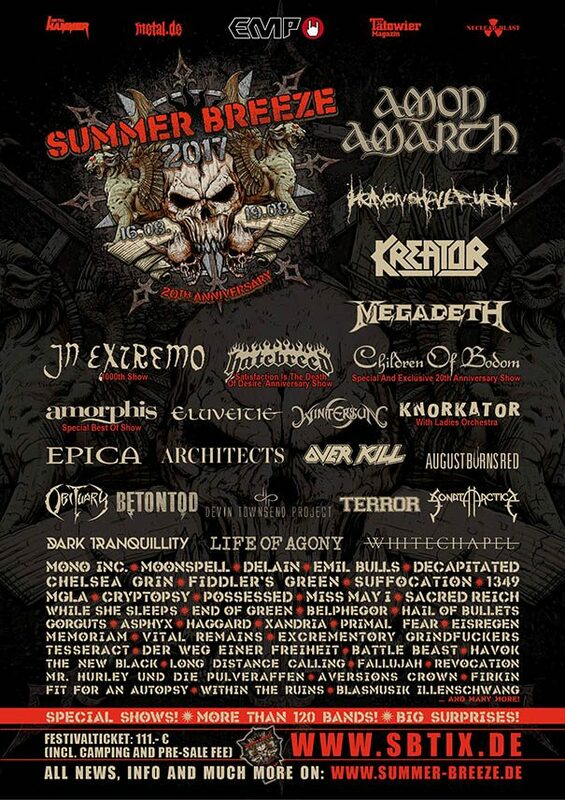 Kreator, Powerwolf and Testament are among the bands that will perform at Metal Hammer Paradise 2017 festival. 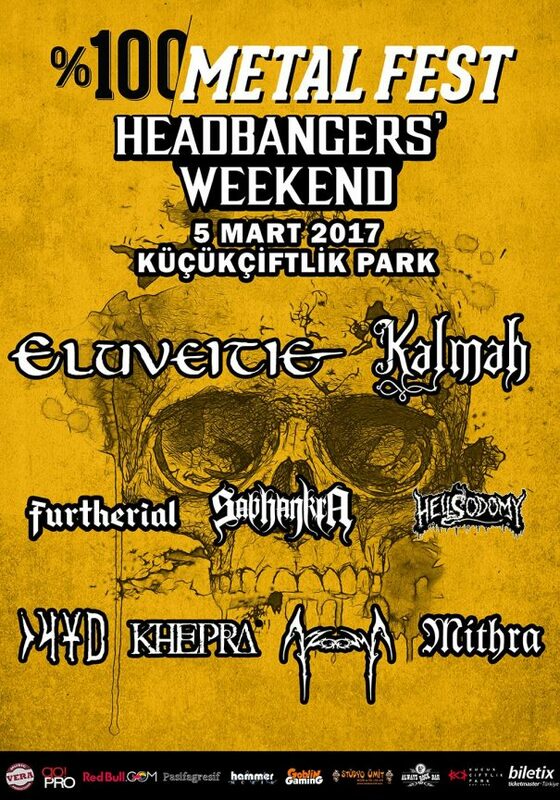 % 100 Metal Fest 2017 will take place at KüçükÇiftlik Par in Istambul, Turkey on March 05, 2017. 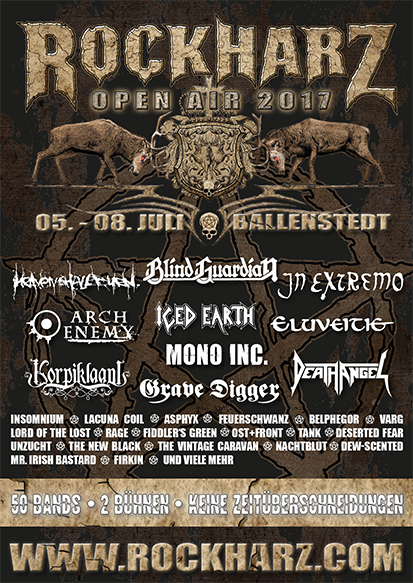 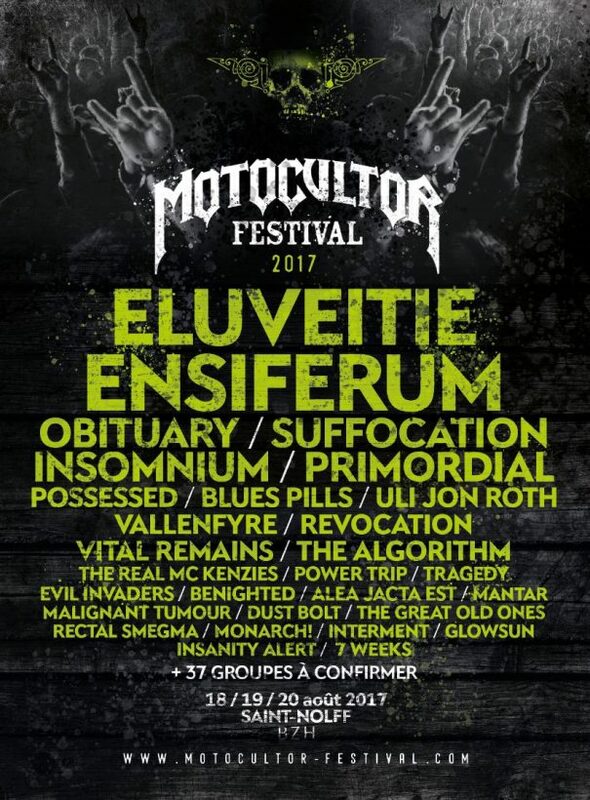 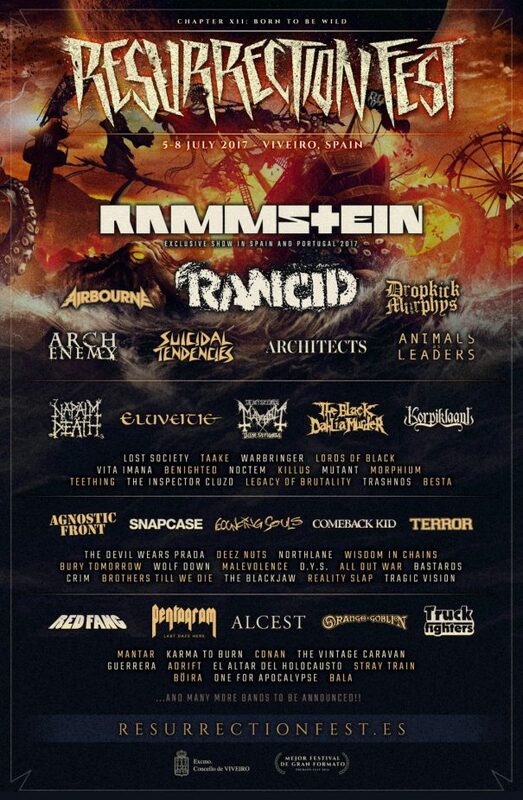 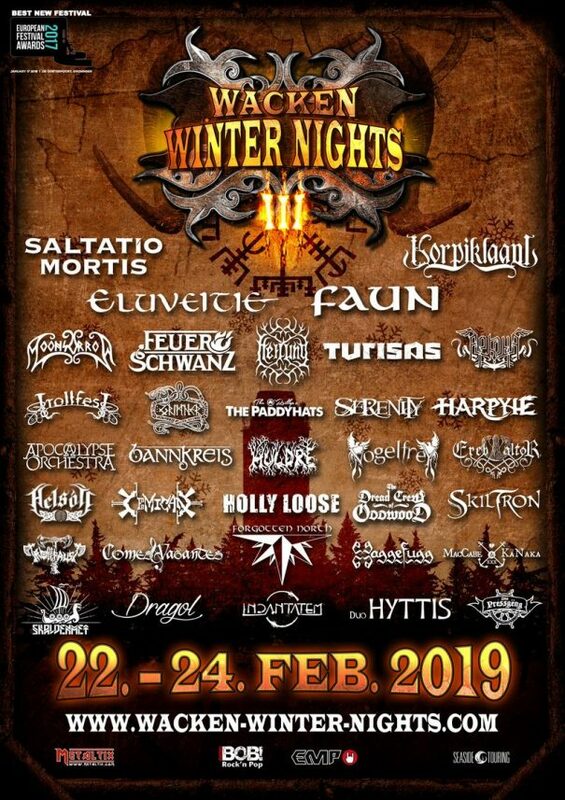 Eluveitie, Kalmah and Furtherial are among the bands that will perform at % 100 Metal Fest 2017 festival.